Before continuing, note that you can read the first part of our Double Eviction review live over at the link here. The first twist tonight was that there was a safety competition, one that would keep at least one of them from being evicted from the game. It was an interesting move, and certainly one that benefits Tom Green given that he is the likely target for Double Eviction. We’ll be updating this article live with some more news and information every single step of the way. Keep refreshing this page over the course of the night! Safety Competition – This was a fun one that involved having to guess the number of “living art” people around the house. We would’ve taken our time more, just because if you already know that you’re not finishing first, you may as well try to get it right. Tamar was the winner! Head of Household – Lolo has the power! What was funny about her getting it in basically a recreation of the living-art challenge was that she struggled to figure out who to nominate against Tom. We actually thought that there was a chance Julie Chen was going to take the HoH away from her — you can’t just get rid of Tom by default! Veto winner – After a screening of Cousins, the new comedy starring Metta World Peace and Ross Matthews, we ended up seeing Tamar win the Veto! This was a pretty big win for her tonight. Eviction – Tom knew that he was going, and his speech was more or less a reflection of that. Kandi was a threat, and that’s the only logic behind getting rid of her here. The problem was that Tom was a bigger threat in terms of competitions. The vote was unanimous, and we do question at least a part of it because Kandi may actually be a sneakier jury threat at the end of the game. Farewell, Tom — he was a big player this season. 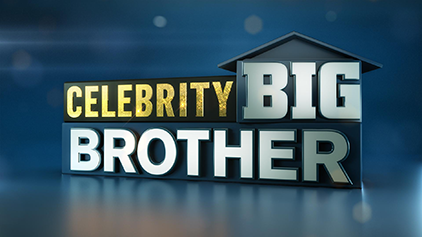 Related News – Be sure to get some more news when it comes to Celebrity Big Brother!